There are a few things you need to know first before you begin the process. Firstly, any and all matters relating to immigration and citizenship must be dealt with by the Department of Immigration and Boarder Protection (or the DIBP), so the first thing you should do before applying for a visa is familiarise yourself with this department at www.border.gov.au. Do some research online and read about it so that when you begin the process, you are prepared for what it will entail. You should then make sure you know which visa to apply for as there are few options depending on your circumstances, check out this ‘Find a Visa Tool’ on the Australian Government website to help you. You can chose to complete the application form either online or on paperand this can be quite daunting for some people so a great tip is to read over what you need for the application, take down notes and be very thorough when you do so. It’s very important that the information you provide is clear and accurate so rather than jumping into this head-first, familiarise yourself with what you will need so you don’t feel so overwhelmed when you start. A migration lawyer/agent can give you lots of helpful information about what you need to know before coming to Australia such as on the right type of visa, culture, etiquette, currency, language and weather. For example, tipping is not common practice in Australia and if you are unaware of this before coming over you can risk being too generous, especially considering Australia is known for being quite expensive! 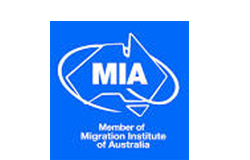 There is much to learn before migrating here so if you need help or advice, contact our Adelaide Office today and/or, follow us on Facebook and LinkedIn.